The Guys made a nice an appearance at the Whisky LIVE event at Chelsea Pier 60 in NYC this evening, reconvening with old friends and making new ones. We very much enjoyed getting a chance to hang out with our friends from Four Roses Distillery in KY, and made some new great friends at thatgirlattheparty.com - y'all should definitely go and check those gals out! pixelation? Or too many whiskies? 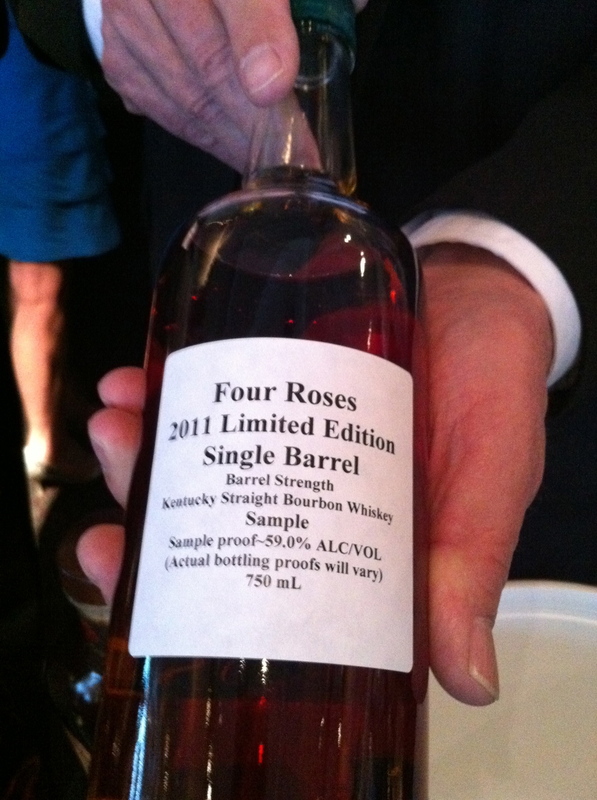 Our good friends at Four Roses distillery definitely hooked us up. Goodness, what wonderful bourbon! With Hollis Bulleit (of Bulleit Bourbon and Bulleit Rye) at Whisky LIVE. I'm the one without the headdress. Not that I'm against headdresses, it just didn't fit in my suitcase.